(Richmond, IN)--A recent Northeastern graduate who has inspired many was involved in a traffic accident Tuesday. The good news is that Austin McNew and his mother, Teresa, both escaped serious injury when an oncoming Jeep crossed the center line on Salisbury Road and hit their van head-on. Teresa McNew had to be cut from the wreckage. Both she and Austin were taken to Reid Health and later released. Stephen Deffibaugh of Williamsburg was the driver of the Jeep. Police don’t yet know why he crossed the center line. 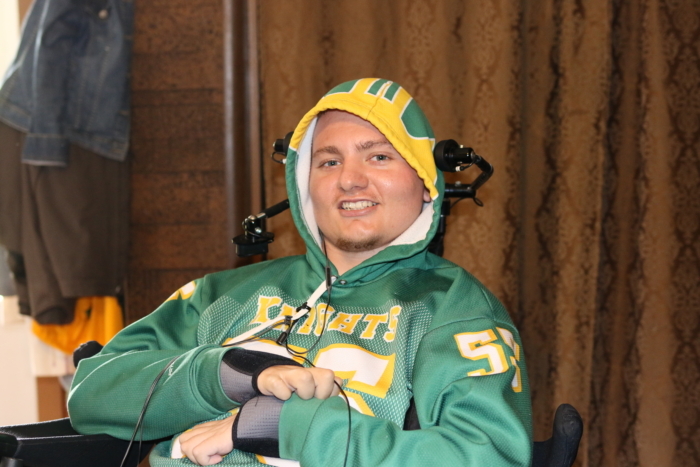 Fountain City and the Northeastern community rallied around Austin McNew after he was paralyzed in a sledding accident in January of 2016.